In the Fifth installment of the 2015 Texas Leftist Candidate Questionnaire, we hear from Lane Lewis, chairman of the Harris County Democratic Party and candidate for Houston City Council, At-Large Position 1. 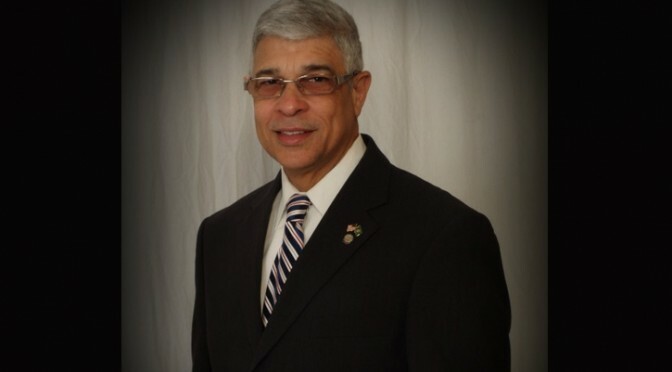 LL: I am currently the Harris County Democratic Party Chair; Harris County is the nation’s third largest county with nearly 2 million registered voters. 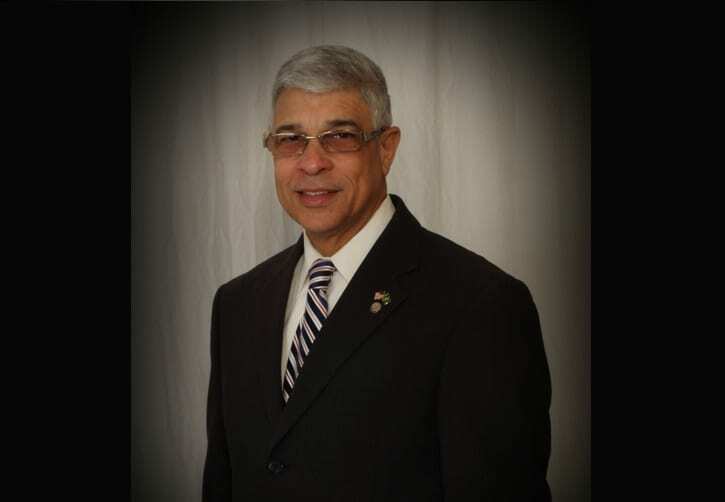 I was elected unanimously in a special election in December 2011, was re-elected in May 2012 with over 55% of the vote and won re-election again in 2014. LL: I began my community involvement organizing friends and neighbors 25 years ago focusing on public safety and social issues. Time and time again the issues I encountered in communities came back to city services and infrastructure. This motivated me to run for office, so I could help provide the help communities and community organizers need to better their neighborhoods. Just recently after a tragic murder in of a young man in Neartown, I helped organize a formal dialogue between HPD and neighbors. The topic of safety again led back to infrastructure, the community and law enforcement agreeing sidewalks and lighting would be key in deterring crime. It only reinforced for me that; a prosperous, safe, world-class city cannot be built on crumbling streets. As an At-Large Council Member, I will be able to influence initiatives that affect the entire city and benefit multiple districts. Infrastructure improvements need to be streamlined for the engineers, contractors and constituents. As an At-Large Council Member, I will be able to influence initiatives that affect the entire city and benefit multiple districts. Infrastructure improvements need to be streamlined for the engineers, contractors and constituents. I am also concerned that infrastructure needs are not adequately addressed in all neighborhoods fairly. City council can work with departments and stakeholders to find better ways to identify and address infrastructure issues, a process which has begun in earnest and I will help the current efforts anyway I can. Houston needs a sustainable solution to budget and pension shortfalls. Tax hikes are not a long-term solution and drive away businesses and residents to surrounding municipalities. I will work with District Council Members and business leaders to expand business opportunities that are beneficial to hard working Houstonians. The city government plays a central role in making a city attractive to development and business investment and should pay particular attention to helping minority owned business participate and grow. Working with METRO and public works, city council can find solutions that fit the diverse needs of Houston. Properly executed alternatives like ride sharing, bike paths, new bus routes, and light rail can open our roadways. City council needs to lead on these initiatives. TL: After decades of deferred maintenance and neglect, Houston’s infrastructure is in a critical state of disrepair. Ask any driver, cyclist or pedestrian, and they can readily tell you that city streets and sidewalks are crumbling… some to the extent that they pose significant danger to those that would traverse them. 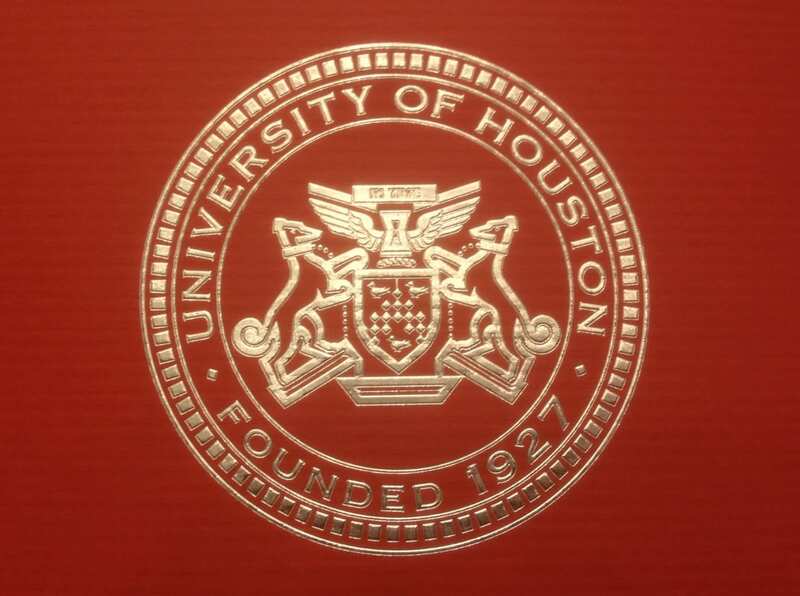 The Parker Administration has attempted to address the problem by the voter-approved ReBuild Houstonprogram. Knowing that the next Mayor has no choice but to invest in city infrastructure, do you support the continuation of ReBuild Houston? If yes, please explain why. If no, please explain how you would address our copious infrastructure needs differently. LL: ReBuild Houston is not perfect, but the imperfections are mostly on the political side of its inception and the program itself is a strong step in the right direction. New projects are coming online and helping with Houston’s flood issues. The immediate problem is that we are so far behind that we are vulnerable today and ReBuild’s full impact will not be felt for decades to come. Once ReBuild finishes paying off decades of debt, it will produce about $600 million a year to our infrastructure and the number of projects will increase rapidly. ReBuild’s pay-as-you go philosophy is a much needed improvement; however, it requires a project to be fully funded before work begins. I would like to explore the possibility of starting projects simultaneously based on a predicted revenue stream prior to being fully funded, but without borrowing money. LL: I would approve such an amendment to provide balance to the horseshoe. I have strong personal and working relationships with most of the Mayoral candidates and am comfortable that I will be able to work effectively with any administration. Even if the power to place business on the agenda was granted to council, the Mayor of Houston would still hold tremendous power and influence over the process of voting and implementing that business. City council would still need a good relationship with the Mayor and the main trump card to counter the Mayor would still be public opinion. I am in favor of empowering council more with the understanding that the key to a productive council will always be the ability to work with the Mayor and fellow council members. LL: A significant change in our transit system must include options for pedestrians and cyclists of all ability levels. Complete Streets along with rail, bike paths, ride sharing, traditional cabs and most importantly the reimagined bus system, must work in concert to make a Houston a multi-mobile city. New development should encourage walkable neighborhoods and the city should provide that foundation. LL: My service to the community has given me strong relationships with elected officials and decision makers that can help me get things done. I have strong ties to leaders across the city, county, and state from all walks of life and in all areas of town. As a Houston City Council Member, you cannot accomplish your goals without the help of other council members, the Mayor, and constituents. My valuable relationships will enable me to be an effective council member from day one at City Hall. My decades of service, the relationships I have nurtured with integrity, and my experience as an elected and appointed servant have prepared me for the job of Houston City Council. Public service is about solving problems and meeting the needs of constituents. That requires being able to pick up the phone on day one and having a positive relationship already established with the person on the other end. No one else running for Position 1 has the number of or quality of both professional and personal relationships that I have with other elected officials and decision makers in the city or the state, which will allow me to get to work on day one. LL. I have a large library collection of books, so I read a lot. For the past year or so, most of my reading has been news and policy related rather than simply a good book. I have very little free time, so often by the time I get home around 9pm, I just make myself something to eat and lay in the floor with my dogs while watching a few minutes of TV before going to sleep. Thanks to Mr. Lewis for the responses. 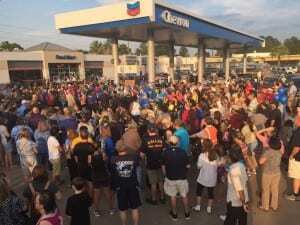 As many working adults in the city of Houston prepared for a lovely and well-earned weekend, one Deputy in the Harris County Sheriff’s Department left his family and hit the streets to keep all of us safe. 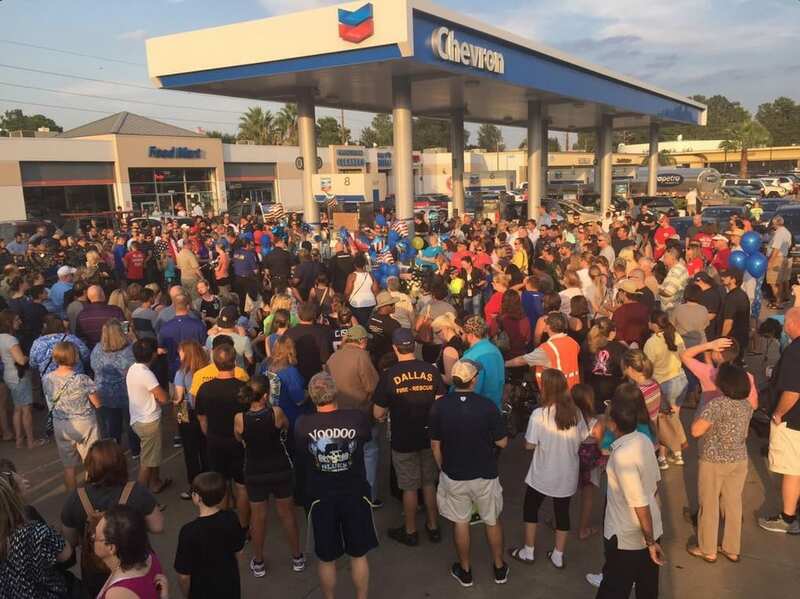 Hundreds of people showed up at a Texas gas station Saturday to pay tribute to a sheriff’s deputy who was gunned down from behind after filling up his patrol car the night before. 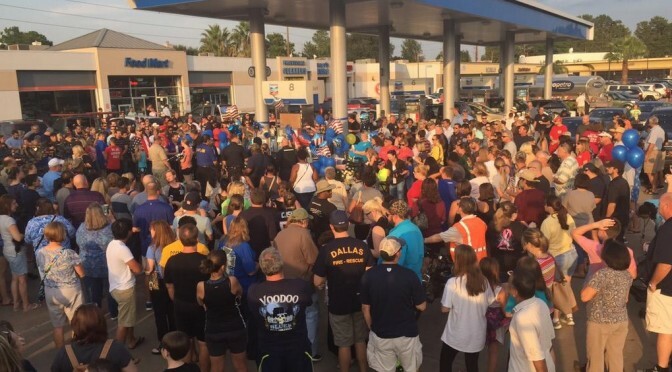 Many who attended the vigil for Harris County sheriff’s deputy Darren H. Goforth said they were there to support the police, and some said they were frustrated with the “black lives matter” movement and what they said was an increased hostility against all police. “It’s not fair,” said Simone Langland, whose family were friends with Goforth’s. “When we were younger and we were home alone, he would always drive by just to make sure we were OK,” she said through tears. Goforth, 47, a father of two, was ambushed by a gunman who shot him from behind at the gas station at around 8:20 p.m. (9:20 p.m. ET) Friday, police said. The gunman then shot the 10-year veteran again as he was on the ground. On Saturday, suspect Shannon Miles, 30, was arrested and charged with capital murder. A motive has not been determined. Miles is black. Goforth is white. As stated above, the killing left the Houston Area, the whole state of Texas and many across the country in complete shock. No one deserves what happened to officer Goforth, and the killer, now in custody stands to face the full weight of the justice system for what he has (allegedly) done. At this point, no one really knows why the killer did what he did. Whether this murder was racially-motivated, violence directed at the police, a combination of the two or neither, no one can say. But no matter the motivation, it was heinous and wrong. Texas Leftist sends prayers to the officer’s family, the Harris County Sheriff’s Department, and all those affected by this tragedy. Texas Leftist also continues to support all of our local law enforcement and the great work that they do every day to keep us safe. 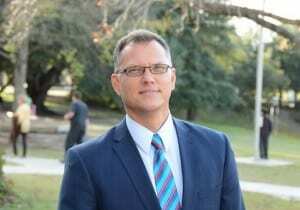 In the Fourth installment of the 2015 Texas Leftist Candidate Questionnaire, we hear from Greg Travis, candidate for Houston City Council, District G.
GT: Government is important, but only if it addresses the needs of the people and is representative of the people by setting the rules, rights, and responsibilities of all involved, without which we have no society. Everyone is capable of governing themselves. Government should be answerable to the people and the more control they have over the government, the more they control their own destiny. Government should not oppress, but enable, allow the citizens to be free to reach their potential, by providing a basic framework by which and under which we can all operate. Government’s first duty is to protect the people not run their lives. Government can provide for basic needs best provided for as a whole, such as defense, security, or water and roads. However, I feel it is better if it provides for security and opportunity by limiting its reach and allowing the citizens to lead free lives because with freedom there is hope—and there are dreams and from dreams we slip the horizons of our limitations and become more than who we are. GT: Fiscal Discipline—and followed closely by Infrastructure Improvements. A lone Council member cannot on their own accomplish either without the help and support of the community and other council members. I intend to educate the public through the media and social media as to the dire situation we find ourselves in and then promote the solutions—which is to curb spending and focus our priorities on infrastructure. I intend to work with the Mayor and other council members and bring together a coalition who understands the seriousness of our situation. I am proud that in 24 years, I have never lost a trial. This shows I can get together with people I just met and within a week or two, convince them of the facts and my desired solution to the situation. Further, I am a certified mediator and I am trained and practiced in bringing parties together to resolve a situation. I intend to do the same on council. GT: While there are aspects of Rebuild Houston I have troubles with, I generally support the concept. I think the implementation of the program has been troublesome and misguided. However, the program as conceptualized is good. We need a dedicated funding source to address the years of neglect. We have $500M a year in depreciation affecting our roads and infrastructure, with only $100M going towards repairing and replacement and that in and of itself is mainly due to ReBuild Houston. We have 16,000 lane miles in Houston with 75% in need of repair or replacement. What other way can we insure this need is addressed? Bond issuances are problematic as we are near the ceiling on bond debt, and the process will take us too long to address our needs which are immediate. GT: Yes. Actually, I would prefer four members of council. I think if you can get 25% to bring up a matter, it should be worth considering by the entire council. This issue is one of the issues I bring up when talking to the residents in my district. GT: Yes and No. While I support the concept generally and appreciate the goals, I do not think it is appropriate in Houston for most areas. We have 16,000 lane miles currently which we can’t even maintain properly today. To require complete streets could easily effectively increase that number from 20% to 33% depending. Where would we get the money? Further, not all streets or areas in Houston are conducive to such a policy or would pass a cost/benefit analysis. To effectively handle current traffic and other uses would require usage of eminent domain on a scale we have never seen. However, other areas are perfect for such a concept and there is a need. So, it is not as simple as a yes or no, but rather a case by case, area by area analysis. GT: I do not have such a high estimation of myself to think I am the best candidate for this office as undoubtedly there are a number of people who could run with better experience than I. However, I am the best candidate “running” for this office—simply because I care and I can and will solve the problems. I am not a politician. I am a businessman and an attorney with empathy for my fellow citizens. The people in my district and in this city are tired of paying for services and not having them delivered. They don’t mind paying for what they get but they do want to get what they pay for. Roads, Drainage, Sewers, Police and Fire. I get it. As stated previously, I am both a litigator and a certified mediator. I have never lost a trial in 24 years of practice. I know what it takes to reach out and convince others of the actions needed to resolve situations in my clients favor. I will use my talents to do the same on council for my clients—the citizens of my district. GT: I spend time with my dogs (and semi-adopted stray cat). I also go out on dates with my girlfriend. I read, listen to classic (1960s and 1970s) music (Mo-Town especially), and continue to search for the perfect ice-cream. Also, I spend quite a bit of time rescuing animals, whether domestic or wild (sort of a hobby). Thanks to Mr. Travis for the responses. 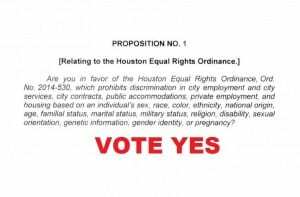 After months of uncertainty, the ballot language for the Houston Equal Rights Ordinance. In a move ordered by the Texas Supreme Court, Houston City Council retooled the measure by a vote of 17 to 0. 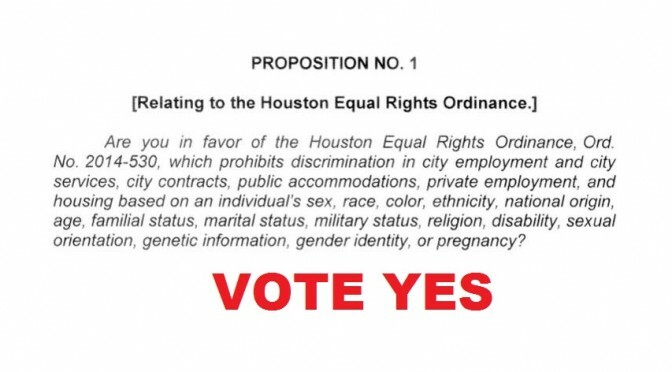 The ballot language is final: On the November ballot, Houstonians will vote “Yes” on Proposition 1 to uphold Houston’s Equal Rights Ordinance. It’s hard to believe, but in just 68 days, Houston voters will go to the polls to determine the fate of our city’s equal rights ordinance that ensures no one faces discrimination, regardless of race, religion, veteran status, sexual orientation or gender identity. 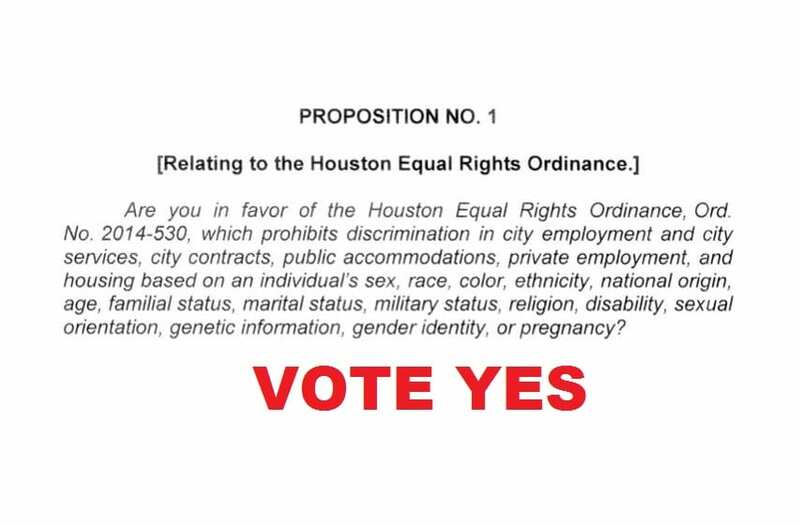 Whether or not we win will come down to how many Houstonians turn out to vote—which is why starting now, we have to send the message far and wide that a “Yes” vote on Proposition 1 is a vote to treat everyone fairly under the law. As discussed previously, the new language is exactly what HERO opponents wanted. The coalition has already gotten started spreading hate and lies. But even despite that fact, Houston Unites and supporters of Equality are ready for the fight. And before then, be sure to check out Houston Chronicle journalist Lisa Falkenberg’s epic take down of the Anti-HERO campaign. Civil disobedience is the active, professed refusal to obey certain laws, demands, and commands of a government, or of an occupying international power. Civil discourse is engagement in discourse (conversation) intended to enhance understanding. It’s important to understand these two terms… both the differences and similarities among them. And the fact that sometimes, an encounter can have elements of both. 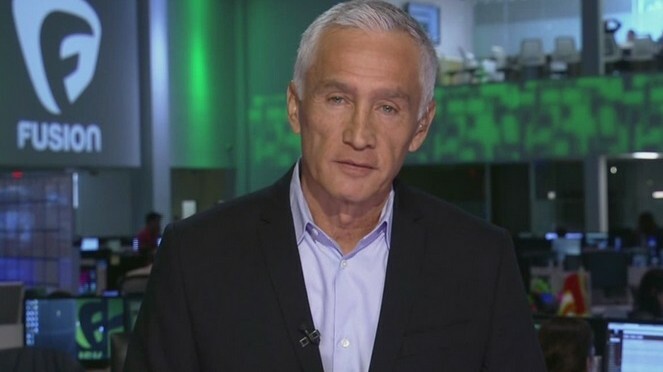 For Mr. Trump and his accompanying echo chambers, Ramos’ actions were “absolutely out of line“. Which I guess means we’re to assume that Trump’s full-scale Twitter attack against Fox News reporter Megyn Kelly is somehow acceptable and appropriate?? But let’s be clear about what happened. Whether you consider Ramos’ actions to be more in the civil discourse camp, or the civil disobedience camp, that doesn’t change the fact that the reporter achieved his desired result. In front of the national news media, he was successfully able to not only press Trump on Immigration, but also put the issue at the forefront of America’s political discussion once again. He did so in the highest form of civil discourse… journalism. The confrontation was similar to recent tactics employed by the Black Lives Matter movement and the DREAM Action Coalition. Individuals in these organizations may not be as well known as Ramos, but when given the opportunity, they have successfully brought their issues of concern to light, and in many cases, achieved important progress. In November 2016 and the whole process leading up to it, Americans are being asked to make one of the most important decisions that we will ever make. In the course of making that decision, all Americans have the right to question those seeking the office, and engage in civil discourse around issues that concern our lives. Jorge Ramos was not out of line with Donald Trump… he was doing his job and representing the concerns of millions of Americans who want answers to those very questions. Just as he has done with President Obama at many points in his Presidency, Speaker of the House John Boehner and even Democratic front-runner Hillary Clinton, Ramos continues to press Federal leaders on why they have not yet achieved comprehensive Immigration Reform after years of promises to do so from both Democrats and Republicans. After decades in the supposedly cut-throat world of big business, Mr. Trump sure seems to have difficulty with some of the most basic levels of civil discourse. 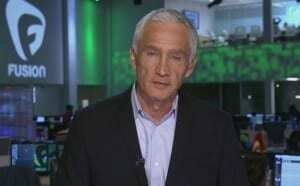 Jorge Ramos deserves high commendation for staying committed to the cause, and for being consistent with candidates of various political stripes. The current Republican front-runner can say all he wants about the “temporary inconvenience” caused to his campaign. But here’s a newsflash for Donald Trump… the truth ain’t always convenient. In the Third installment of the 2015 Texas Leftist Candidate Questionnaire, we hear from Moe Rivera, candidate for Houston City Council, At Large position 2. MR: Negative, this is the second time I have run for office. MR: Government is extremely important since it represents it’s citizens and has the power to enact and enforce laws. Government is necessary to manage its people’s affairs, offers rights and protection and certain services without City chaos would exist. We need to elect officials that look out for everyone’s interest. MR: Promote a balanced budget and insure that expenses do not exceed its collected revenue (Tax, services and other revenues). I plan to do this by influencing other members of Council of our responsibility not to be in debt. I plan to offer solutions to the city pension issue by offering the 777 contributory plan. I will only approve responsible and reputable construction projects and service contracts that will not over burden our citizens or debt structure. MR: Rebuild Houston plan prioritizes worst first let’s continue since the administration has promised certain neighborhoods that are next in line the allocation of those funds and it would be unfair to start over again. MR: Agree with coalition of six Council Members to place Council agenda without prior consent from the Mayor. This way we place the interests of all districts rather than the next mayor’s home district. MR: Agree we owe it to disabled citizens and cyclists. 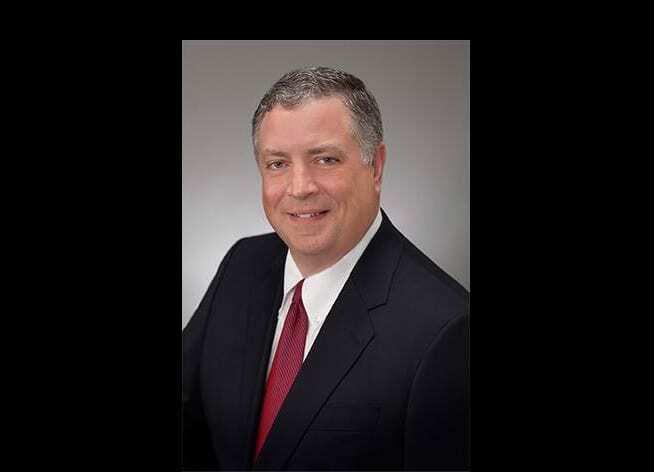 MR: Education; I have three degrees, Trilingual, I have lived here in Houston since 1984 and have a feel for its needs and have a passion to serve this city. MR: Free time is spent exercising (biking, swimming, racquetball playing) assisting church, family events and attending local sports events. Thanks to Mr. Rivera for the responses. The Texas Progressive Alliance liked it better when politicians wanted to kiss babies and not deport them as it brings you this week’s roundup. Off the Kuff took a closer look at who votes in City of Houston elections. Libby Shaw at Texas Kaos and contributing to Daily Kos notes that when the GOP opened its house to dog whistles it ushered in the wolves. The GOP Deserves Its Monster. Fresh off his vacation, and as it approaches its centennial, SocraticGadfly casts a critical eye at what he describes as the decline and fall of the National Park Service. CouldBeTrue of South Texas Chisme notes that Donald Trump is exposing the world to the racism consuming the GOP along with its authoritarian, 2nd amendment mindset. 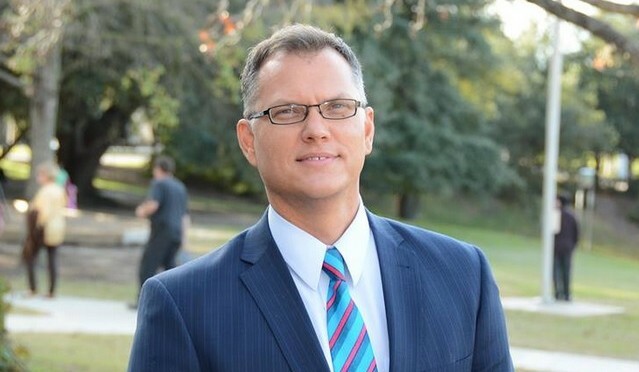 It was all Houston mayoral elections all last week for PDiddie at Brains and Eggs, who attended a forum in his back yard, smelled some oligarchy in the HGLBT Caucus endorsement, covered the two adverse developments for the HERO, and witnessed Chris Bell’s smackdown of Adrian Garcia. Sometimes it takes great distress to reveal greatness of leadership. As the 10th Anniversary of Hurricane Katrina approaches on August 29th, Texas Leftist reflects on the extraordinary role Houston played in the storm’s aftermath and recovery. From WCNews at Eye on Williamson. The Texas GOP’s latest cruel move, When They Show You Who They Are Believe Them. With Bernie Sanders running strongly for 2016, Neil at All People Have Value wrote that polling data reports more and more Americans are open to Socialism. APHV is part of NeilAquino.com. Paradise in Hell previews the fried delicacies that await us at this year’s State Fair of Texas. The Lunch Tray confirms that Americans do indeed want kids to eat healthier food at school. Texas Watch tells you what’s really driving the cost of your car insurance bill. Alexa Garcia-Ditta takes you on a tour of San Antonio’s new HB2-compliant abortion facility. Tamara Tabo explains why you haven’t heard more about all those bikers who were arrested in Waco in May. The Makeshift Academic reports that Arkansas has fully embraced Medicaid expansion. 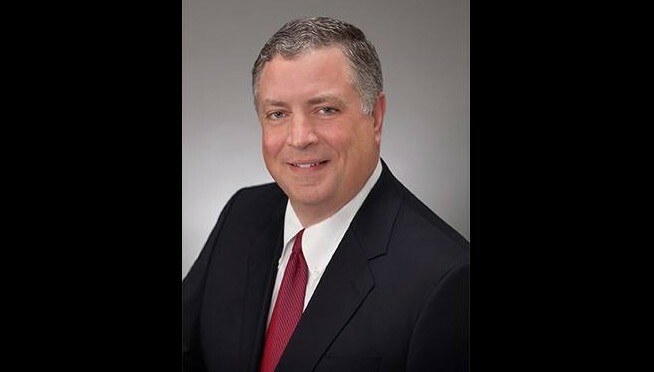 Pamela Coloff awards the title of Worst Lawyer in Texas to disgraced and now disbarred former prosecutor Charles Sebesta. 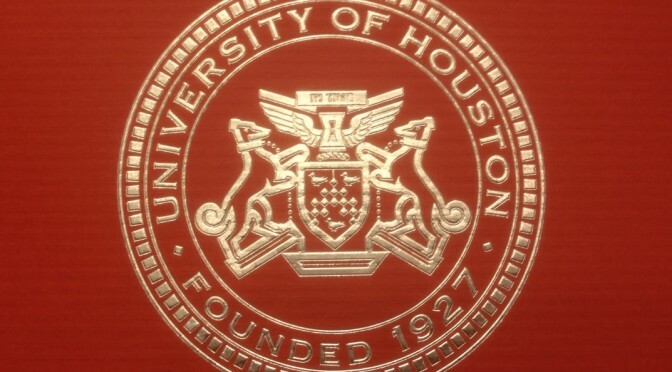 Happy Back to School week for much of Texas, including the University of Houston. 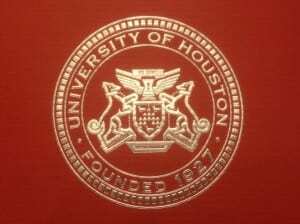 GO COOGS! !